May 1 has been celebrated as Lei Day in Hawaii since 1929 and is a celebration of Hawaiian culture. Each island has a different lei. The Island of Hawaii (the Big Island) features the Ohia blossom. 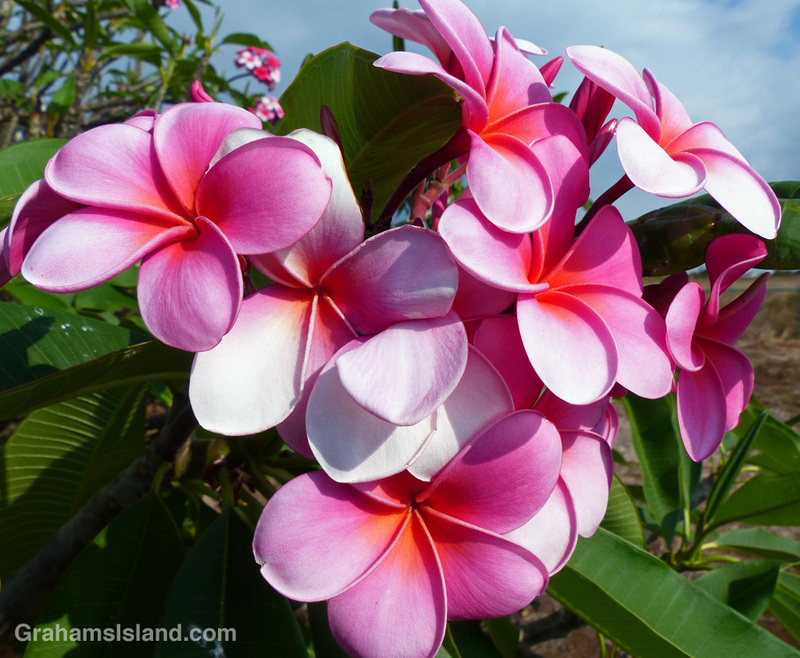 Plumeria flowers such as these, still attached to the tree, are often used in leis because of their fragrance and rich colors.